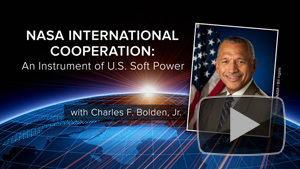 The 12th NASA Administrator, Charles F. Bolden Jr., shares how NASA’s programs and missions function as an instrument of international cooperation, demonstrating the steady guidance of the United States as the world’s leader. Researchers love identical twins. Because they have the same genetic code, they provide a unique opportunity to determine how environment may lead to developmental differences – i.e. nature vs. nurture. In this new program from the Stein Institute for Research on Aging, Brinda K. Rana, PhD, shares the results of NASA’s remarkable Twins Study. In March 2015, U.S. astronaut Scott Kelly embarked on a one year mission onboard the international space station. Meanwhile, his identical twin brother, Mark, remained on Earth giving scientists an opportunity to study the long-term effects of space travel on the human body versus normal development. Ultimately, NASA wants to know what will happen to astronauts as they inch closer to their Mission to Mars. Space is a harsh environment, both physiologically and psychologically. Astronauts must contend with microgravity, disruptions in sleep cycles, radiation, and dietary limitations, as well as confined spaces and isolation from friends and family. What will happen to astronauts after 3 years – the time it will take to get them to Mars and back again? But these studies not only have implications for the lives of astronauts. 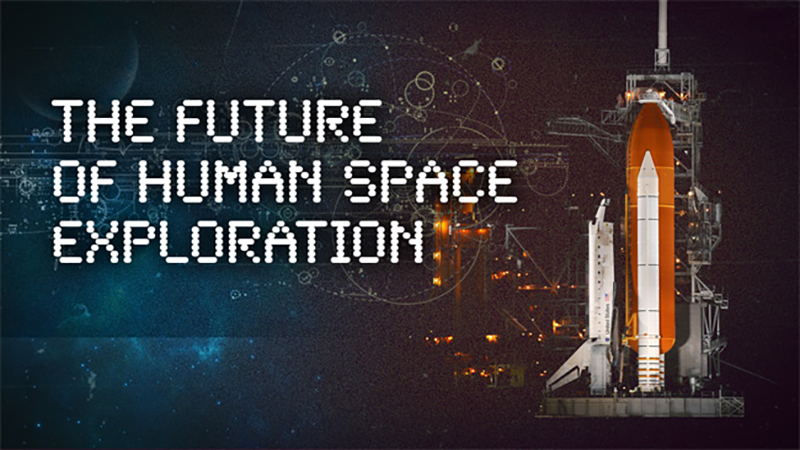 Physiologically, space travel mimics the effects of aging on the human body, changes such as cardiovascular decline, vision problems, muscle and bone atrophy, and cognitive impairment. Any discovery that improves the lives of astronauts in space could also be used to help us right here on Earth. Learn more about what it took to plan and execute the Twins Study, as well as some of what they’re just beginning to discover. 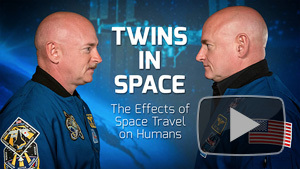 Watch Twins in Space: The Effects of Space Travel on Humans. Browse more programs from the Stein Institute for Research on Aging. We’ve been to the moon and we’ve explored remote corners of our universe. What is next in our quest to unlock the secrets of our solar system? To see more programs on Astrophysics and Space Science, visit our archive. The Perseid meteor shower has been observed streaking though our night sky for over 2000 years. In early to mid-August, Earth passes through the debris stream of the Swift-Tuttle comet. As space dust hits the atmosphere it creates extremely bright meteors know as the Perseids. The best nights to view the shower this year are August 11th and 12th, with meteors starting as early as 10 pm and increasing in frequency until dawn. Grab a lawn chair, head outside and enjoy the show! Want to know more about the bright lights above? 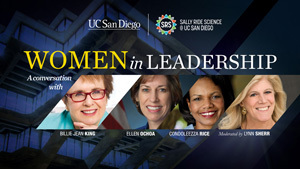 Check out UCSD-TV’s Astrophysics, Cosmology, Astronomy, and Space Sciences programs.